“I was straight off the plane from London with rained-on hair! I think if I’d known that I’d be meeting him, I would have freaked out. Now’s he’s like my brother.” As quoted by Rita Ora in Glamour interview. Glamour: You signed with Jay-Z. What was meeting him like? RO: I was straight off the plane from London with rained-on hair! I think if I’d known that I’d be meeting him, I would have freaked out. Now he’s like my brother. RO: Destiny’s Child was my band. I was nearly choking when I met her, but she is the nicest. I call her alien because I’m like, “How do you do everything at once? You can’t be human. Glamour: You’re a new artist, but you already have such a look. RO: I walked into this industry blond with red lips, and I will leave this industry blond with red lips. Mark my words. Glamour: It was reported you were dating Rob Kardashian. True? RO: Rob makes their lives public. Me? I’m very private. He’s a great friend. But the only relationship I’m having is with the tour bus. 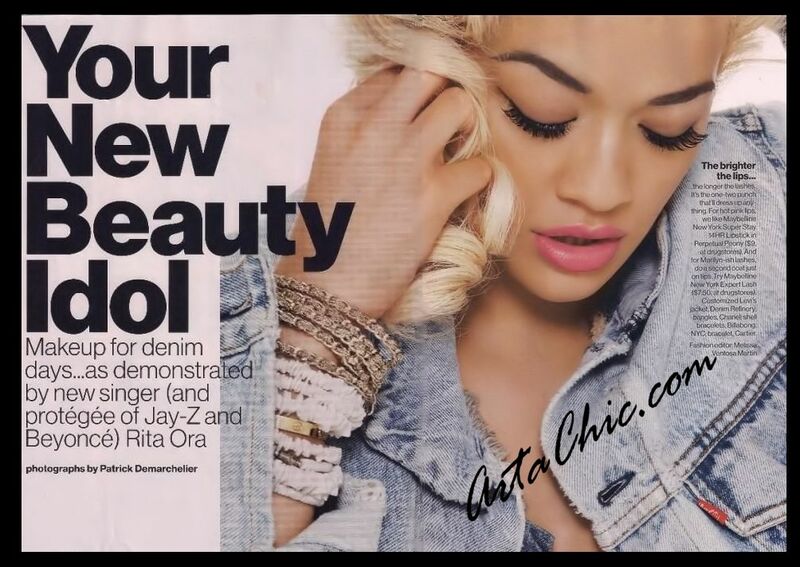 Rita Ora is a new British singer, songwriter and actress signed with Jay-Z’s Roc Nation label. 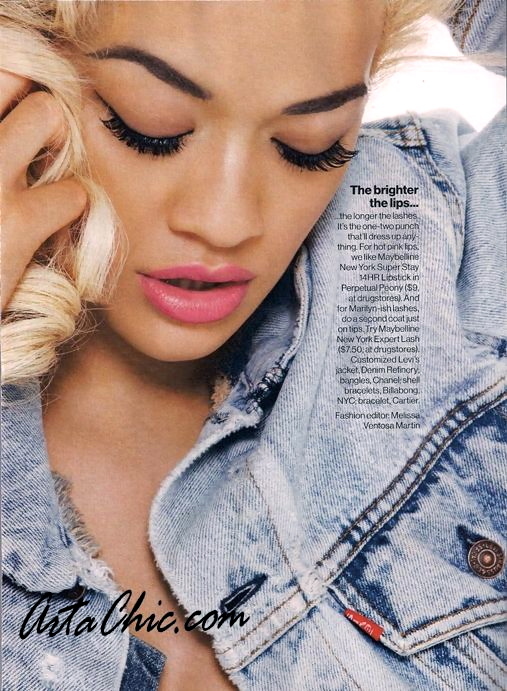 This material girl who loves Madonna , Gwen Stefani, and Aaliyah, just to name a few, expresses herself in the August 2012 issue of Glamour of how to wear your makeup for those denim days. See how you too can rock this makeup and denim look! Step 1. Bright lips and long lashes. Step 3. Be yourself and have fun! Brandee Brown Is Nothing But The Truth.